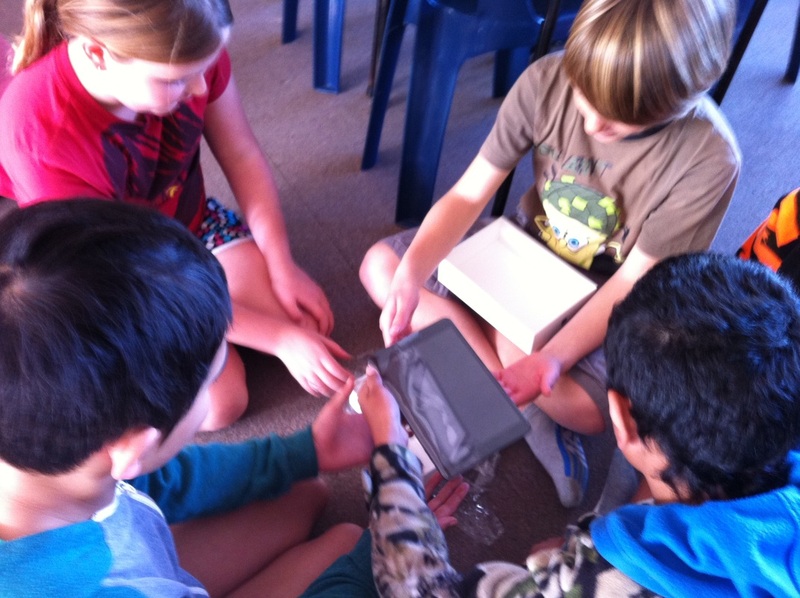 As school has come to an end (for the next two week's that is) we would like to thank all the teachers and students at EPS, our quad blogging friends from Vardon School, Hamilton East and Tangowahine and close friends and whanau for supporting our thinking and learning in and out of the classroom. Here's a quote that we can all think or do something about during the holidays.... "Develop an attitude of gratitude and give thanks for everything that happens to you, knowing that every step forward is a step toward achieving something bigger and better than what you have now". The last day of term is always a great day to enjoy shared lunch. 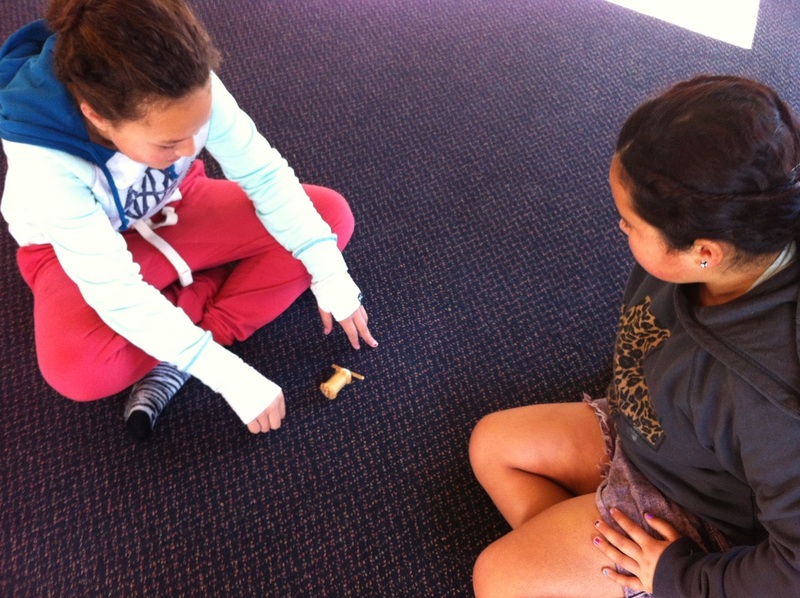 Although we spent most of the morning finishing class work and reflecting on the past nine week's Shaedyn, Creed and Angelina were given the chance to make sushi alongside Whaea Kristy. 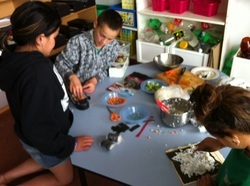 The process involved cooking rice, cutting up salad vegetables and rolling the ingredients in seaweed paper. The trick as Shaedyn found out was to keep the roll tight and use glad wrap to hold it all together. Putting the rolls in the fridge for an hour would allow them to set. However we didn't have that time to spare and the sushi was so popular not one piece was left during the shared lunch. Nikki took some of the ingredients and the small sushi roller home as she was very keen to make some for a party she'd planned. Our final School Assembly focused on reflection and review - looking back over the past nine week's at what we have all accomplished, celebrating class achievements and then thinking about moving forward into Term 4 with any next learning steps as future goals. Brandon, Nikki and Kerry hosted the Assembly alongside Ms Beattie. The following PowerPoint presentation was also shared with all EPS students. 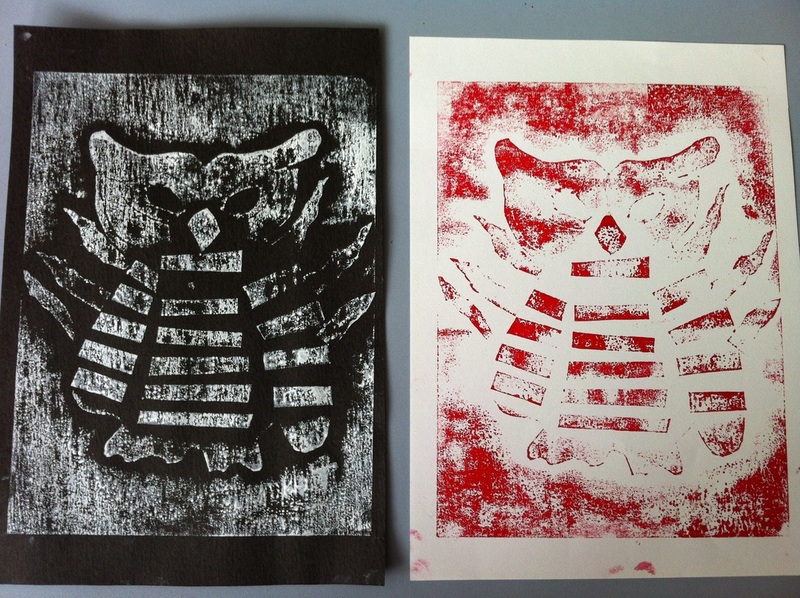 This week we were fortunate to have artist Eli Sharplin back in our school. 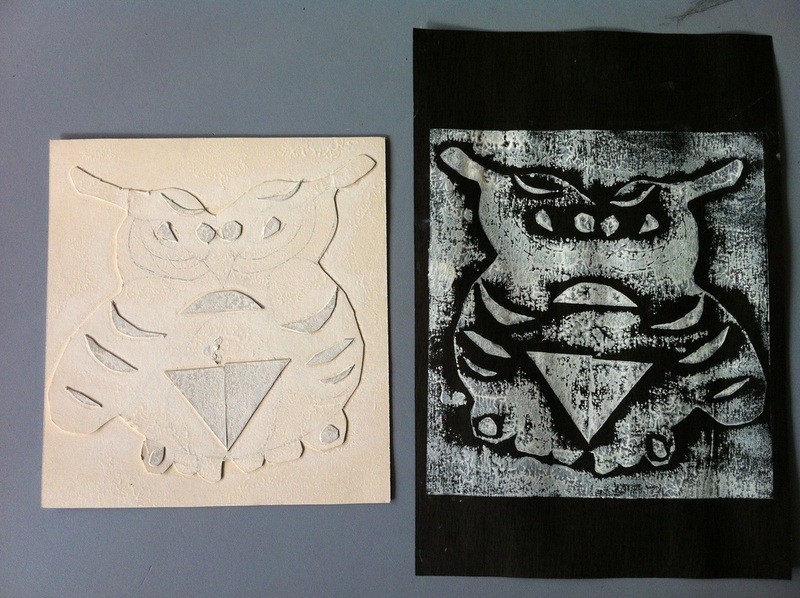 The theme of the workshop was 3D Art and we learnt how to see and draw three letter boxes from oblique angles (front and side). 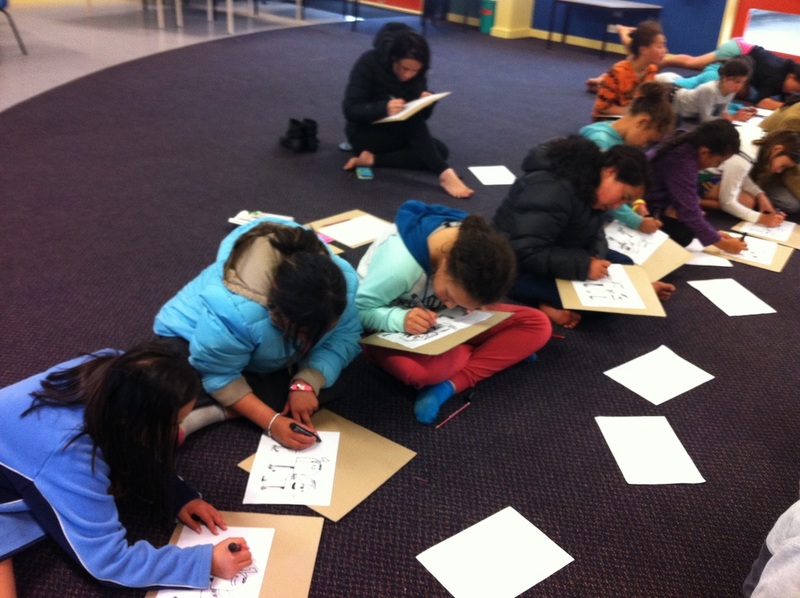 We finished our art pieces with black marker pens before going back to class and adding colour. 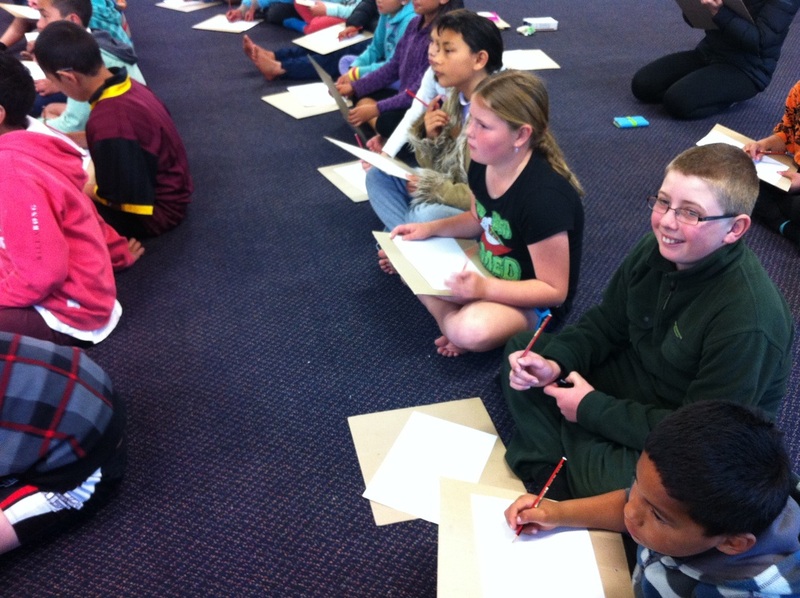 Over the past few weeks we have learnt about the elements or parts that are required for explanatory writing. We then completed writing samples based on three Green Gauge Programme topics that included the water rocket, balloon car and wind-up clock. 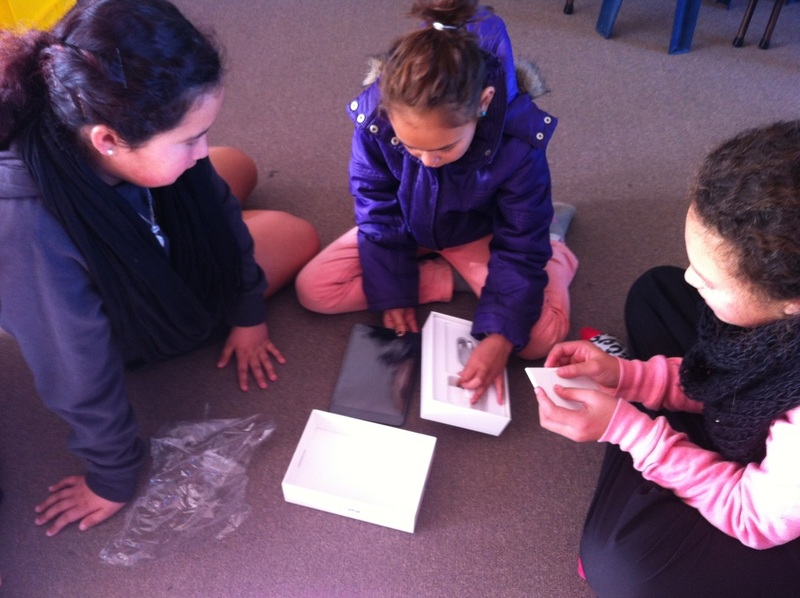 Whaea Jeanette bought in a large picnic basket full of items that we used as prompts for more pieces of writing. 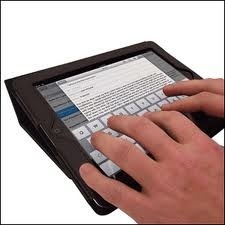 We were also given the opportunity to publish work using the iPad app 'Write This'. 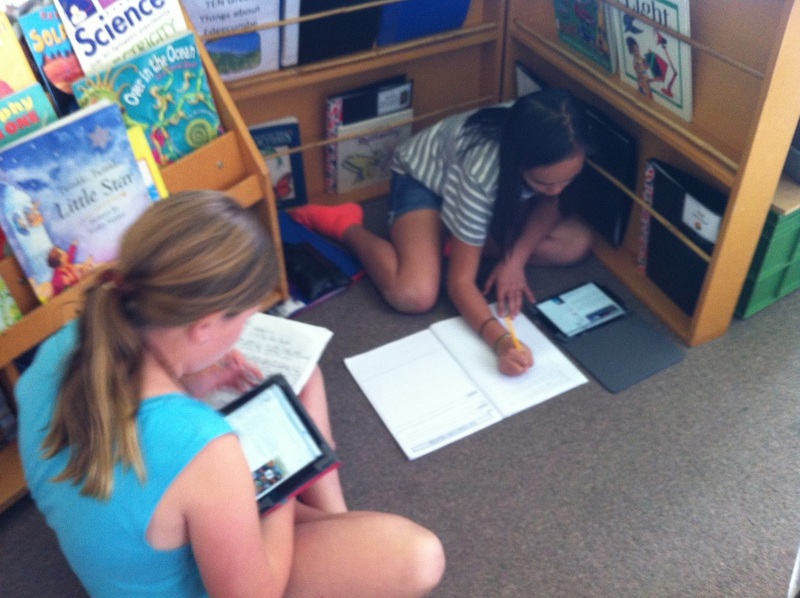 To check out some of our examples, go to Our iPad Learning Journey' webpage. 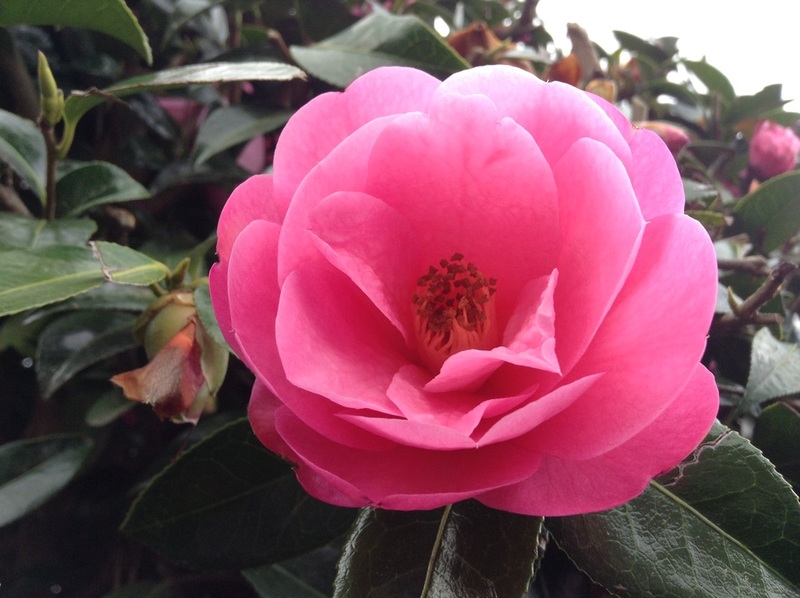 W6: Quadbloggers Spring Photo Challenge - ARE YOU UP FOR IT? Welcome once again to our webspace Quadbloggers. We are very honoured to have you visit. It's our Spotlight week and instead of posting comments we would like you to join us in this very exciting wero or challenge. 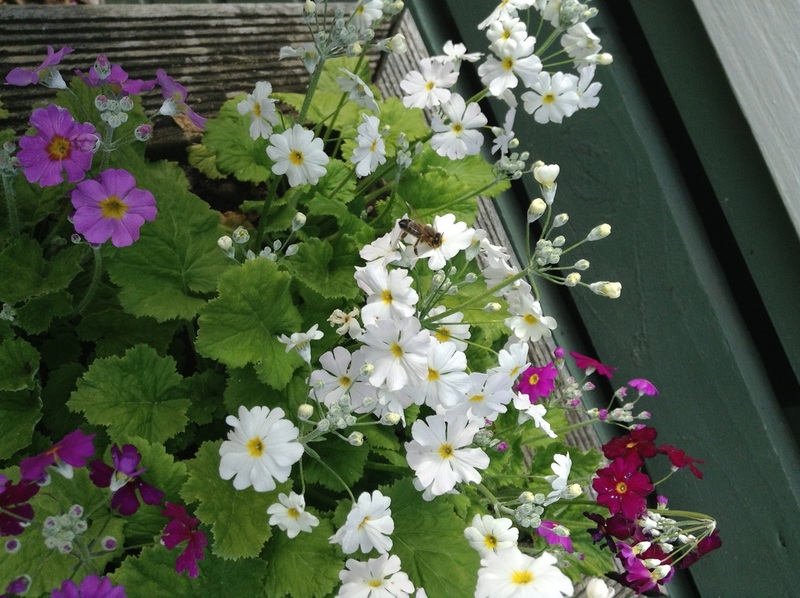 Your task should you wish to accept it, is to post a photograph about the SPRING season on your class or individual blog (seek teacher permission if required) and explain what makes the image so important or special. Then go to our blog-comments page and leave us a brief message about your image and/or experiences. This blog challenge is a win-win situation for everyone who takes part. 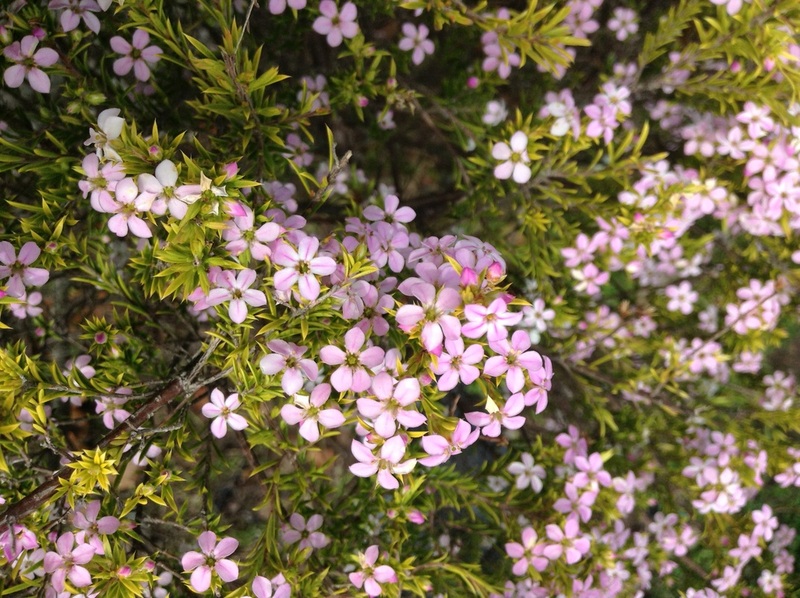 All quadblogging classes get the chance to try their photography skills and share what Spring looks like and we at EPS will receive feedback from those who join in. 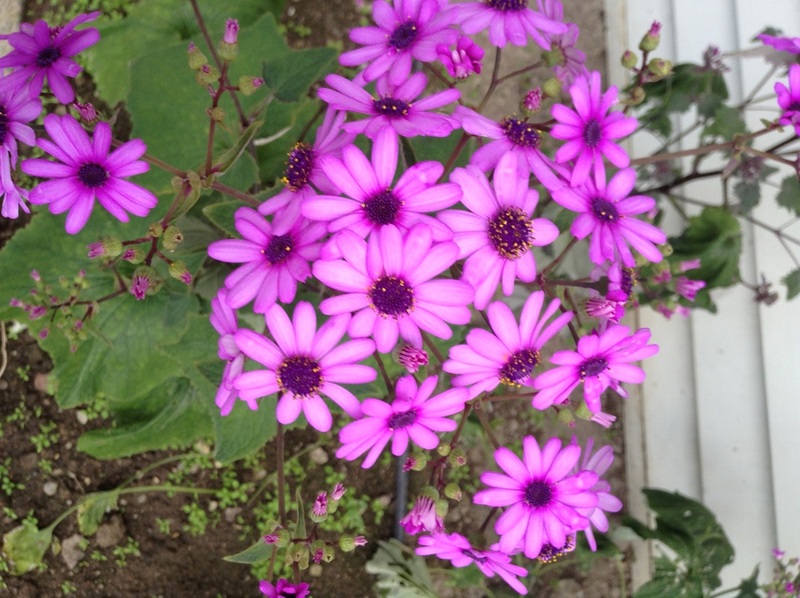 The challenge also gives us the chance to participate and post words of praise for others. 3. Remember to leave a message for Room 6 about your photo/experiences by clicking here. Include a link to your page too if you can. Once the week is over we will acknowledge and include links to all those awesome photographs and postings on our webspace. 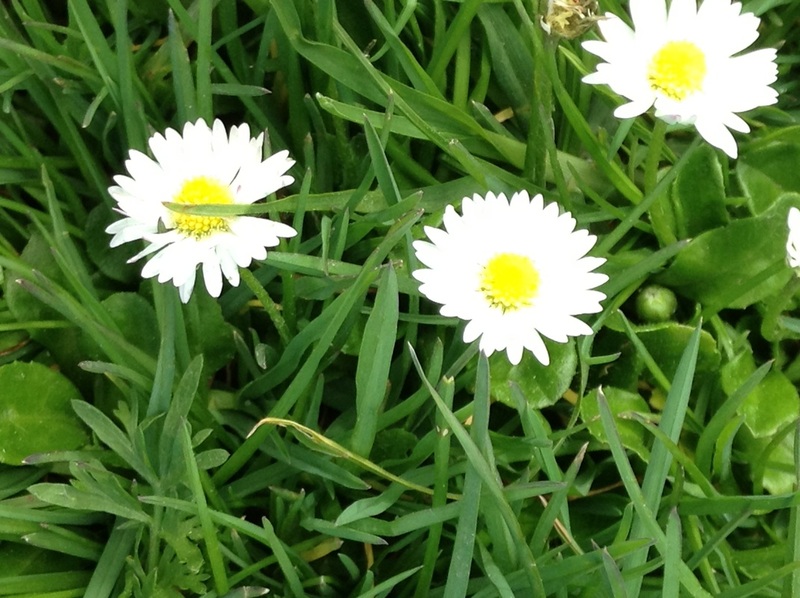 This week we have the chance to use our iPads and collect photos that remind us about Spring. At the same time we need to think what Spring is really about because today many of us captured simple snapshots of trees and flowers that we see all year round. 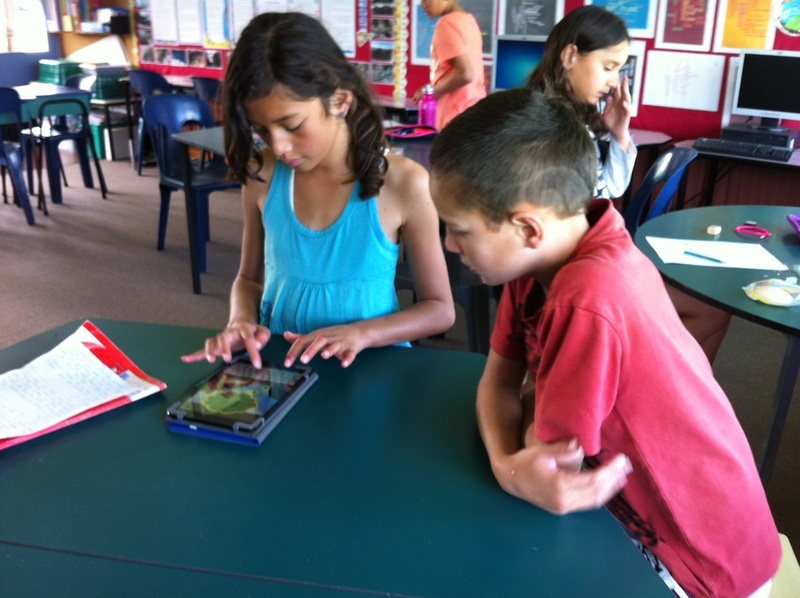 This week we are learning about digital photography and how to take great snapshots using our iPads. 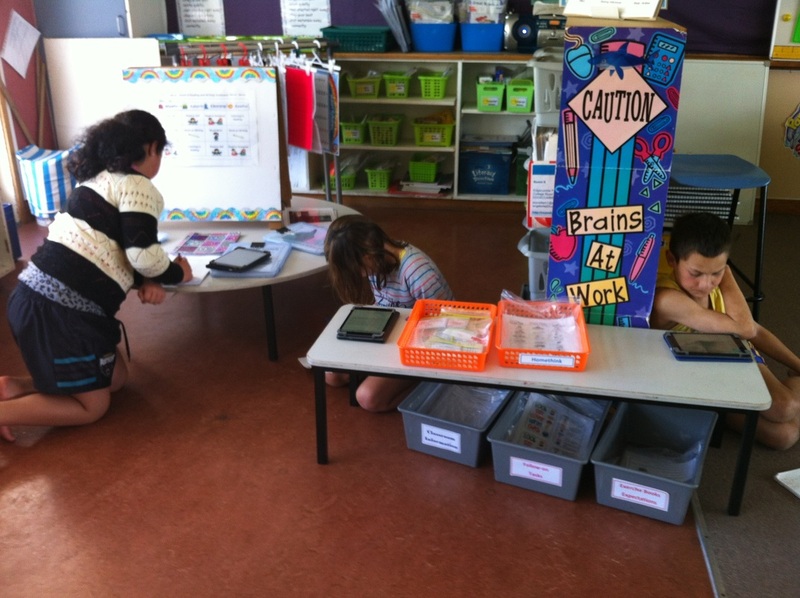 We spent time this week using the iPads as search tools for our Science and Research projects and for setting up our own blogs within our iPad Groups. 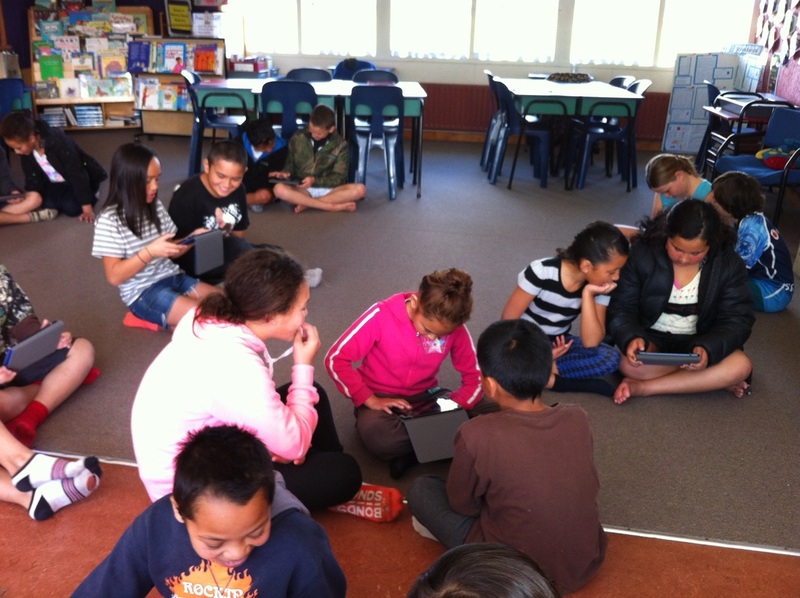 Running wifi in our two classroom block works well and we love being able to use the devices anytime and anywhere. Setting up a blog takes a lot of planning. 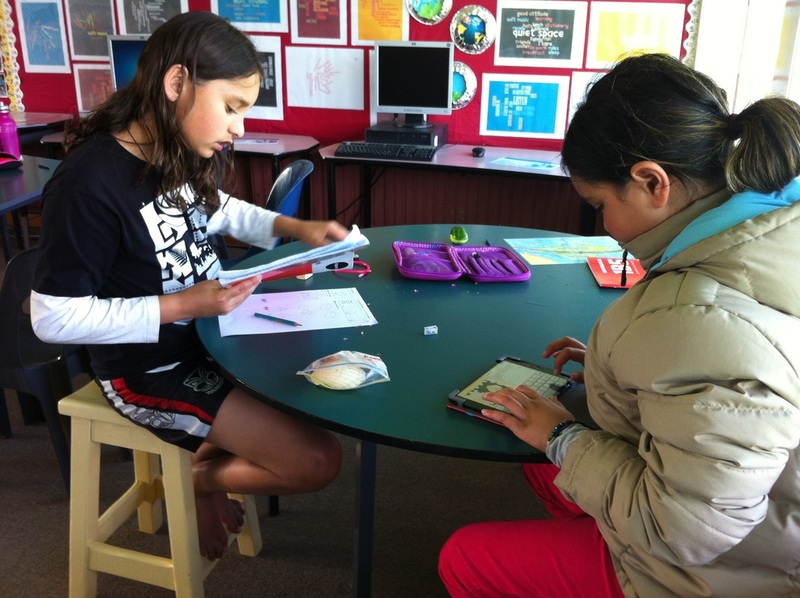 Whaea Jeanette has suggested we choose three learning activities to draft and then share. At the same time we must think about the photos we want to take or include. We also know that the information or content that we post must make sense and be checked for spelling and grammatical errors. 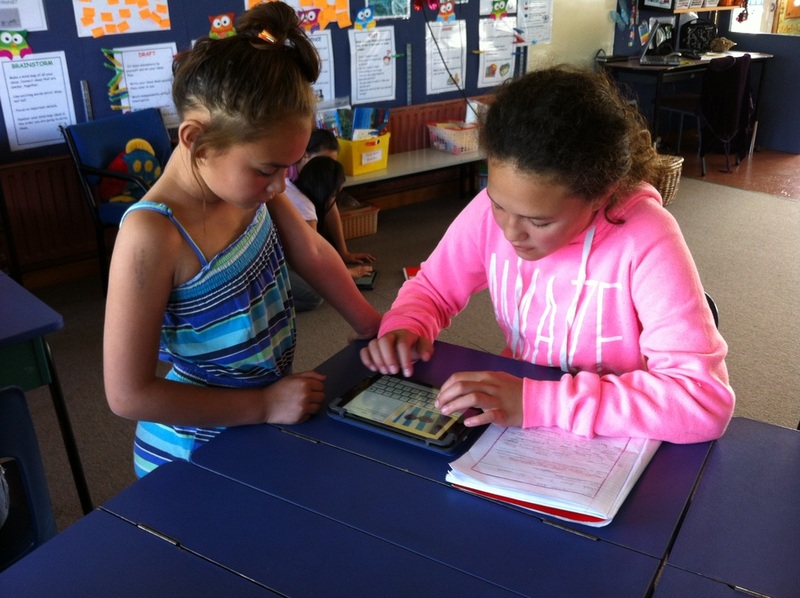 We have been told that the Room 12 teacher at Vardon School in Hamilton fell off her bike and so her class have not had the chance to blog lately. We hope that you get better soon Mrs Parkinson and look forward to hearing from Room 12 in the near future. We are spending the next couple of week's learning about fractions. 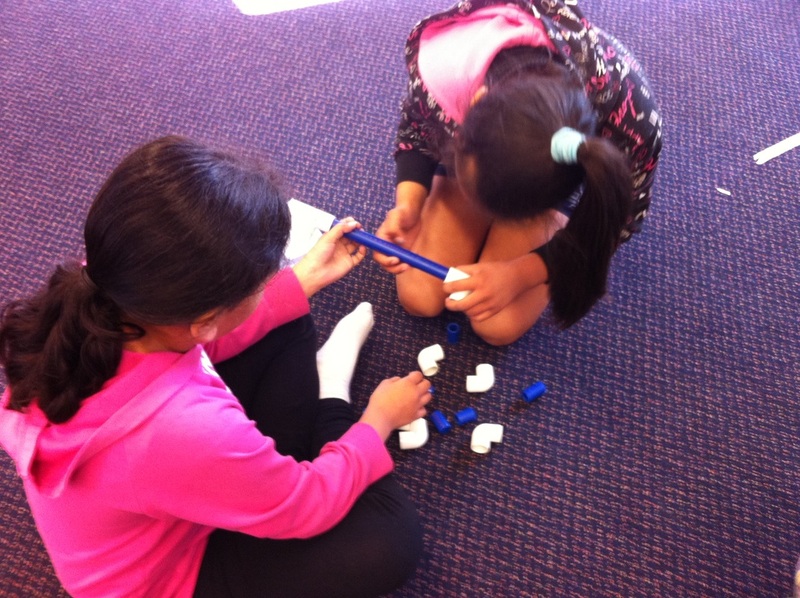 The group Ovals had the chance to make their own fraction kits and play two games with a friend. 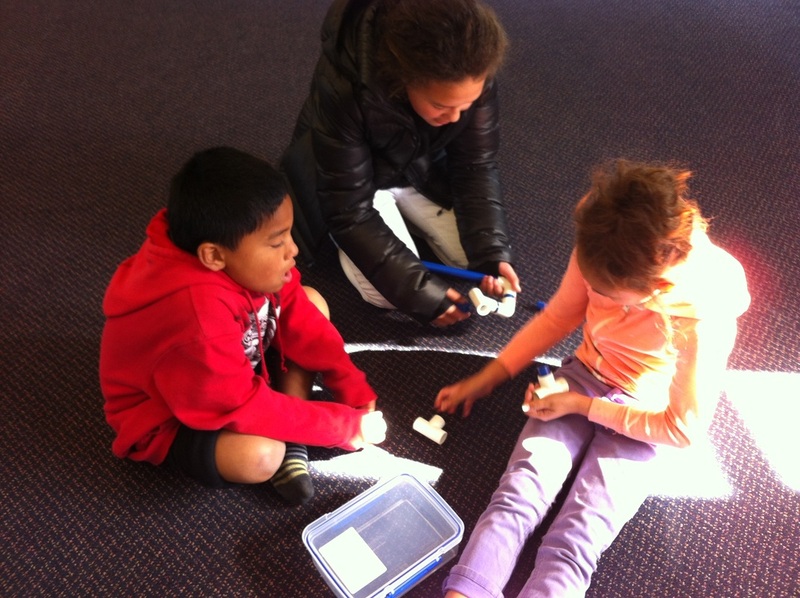 They also brainstormed their ideas with Whaea Jeanette, used the class milk packs to make groups and came to realise that fractions are in some way or form, a part of everyday life. This is our fourth week of the Green Gauge Programme. 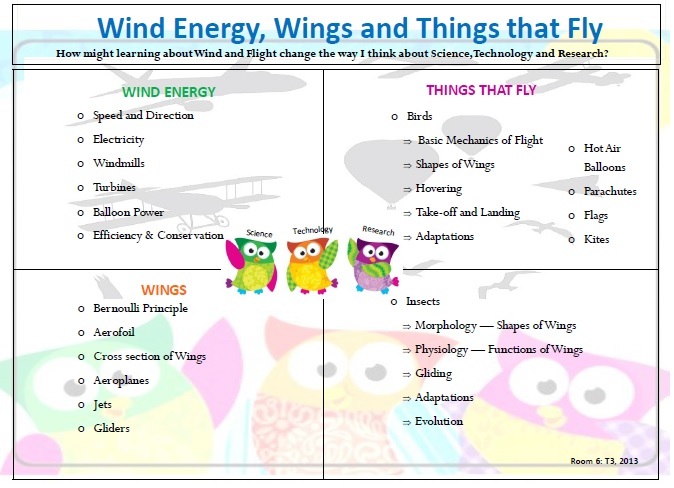 We were very interested in what Mr Maple shared today as our class inquiry is based on 'Wind Energy, Wings and Things That Fly'. Finding out how a wind turbine operates is quite exciting. 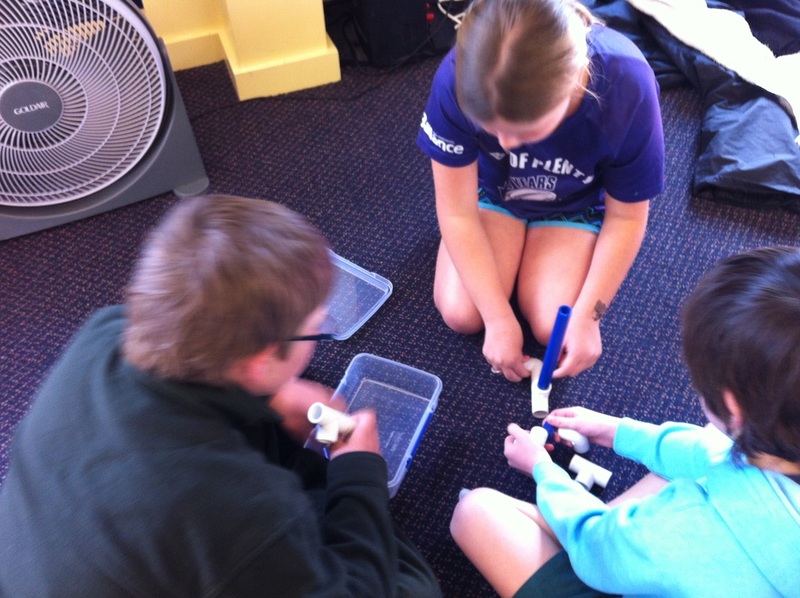 We were supplied with group kits that contained four connectors, four two-end pipes and a long blue pipe and given the instruction from Mr Maple to make a wind station. 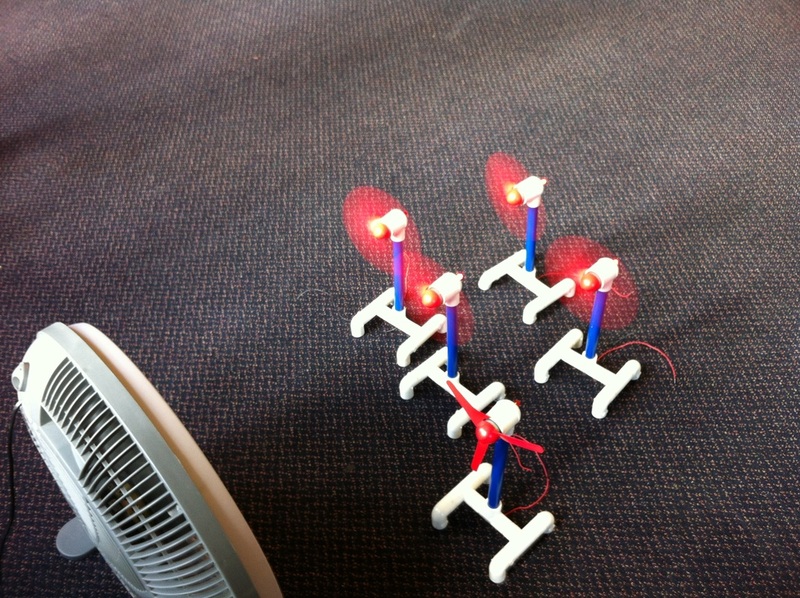 He then handed out windmills with two leads that we had to put inside and through the long blue pipe. The last task was to place the wind station in front of a very large van in the direction that we thought the wind station would collect the most wind. If the wind station was placed in the right position and direction, the windmill would move and the red light turn on. 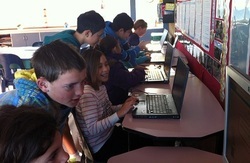 E.P.S has joined the Fonterra Milk in Schools Progamme. We have learnt about the delivery and storage of the milk packs and how to fold them once empty. The school milk monitors are in our class. 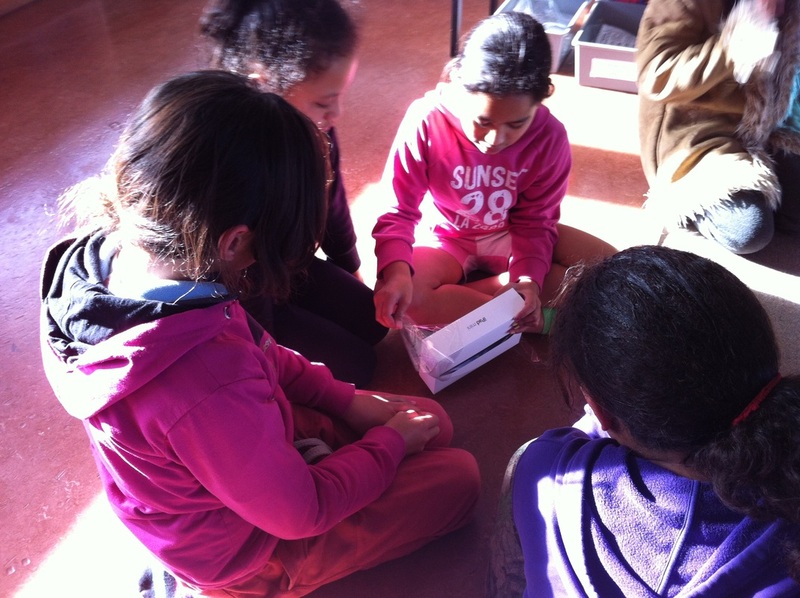 We're part of the Green Gauge Programme and have recently learnt how to make up electrical circuits. Our school has 9 brainbox kits that we enjoy using. The quadbloogers spent time in our school computer suite checking out the Room 10 Hamilton East School blog and also provided them with positive, constructive comments. 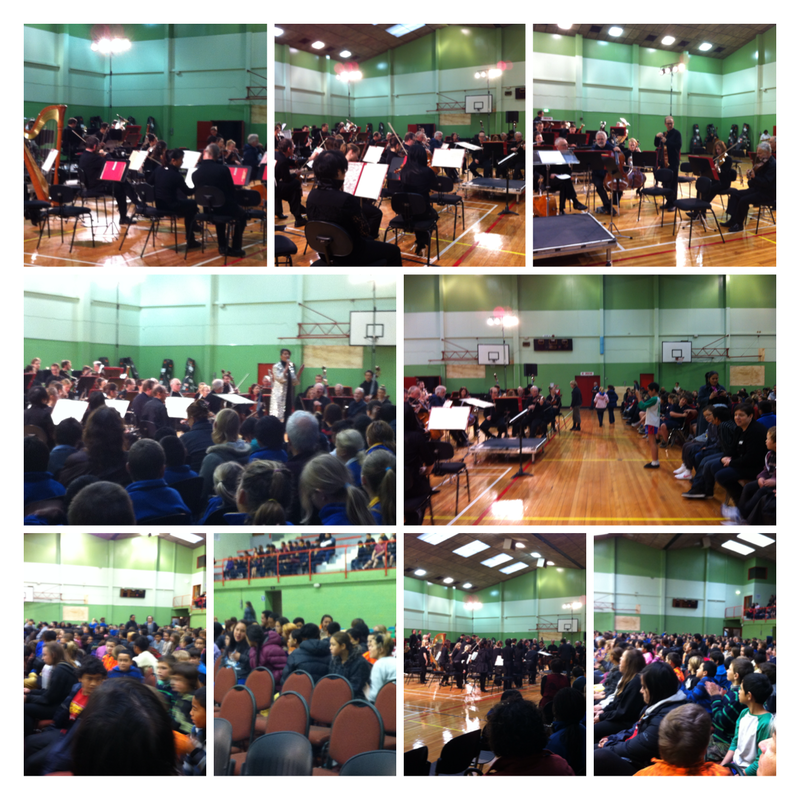 We were most fortunate to attend a 'once in a life-time' recital performed by the New Zealand Symphony Orchestra. 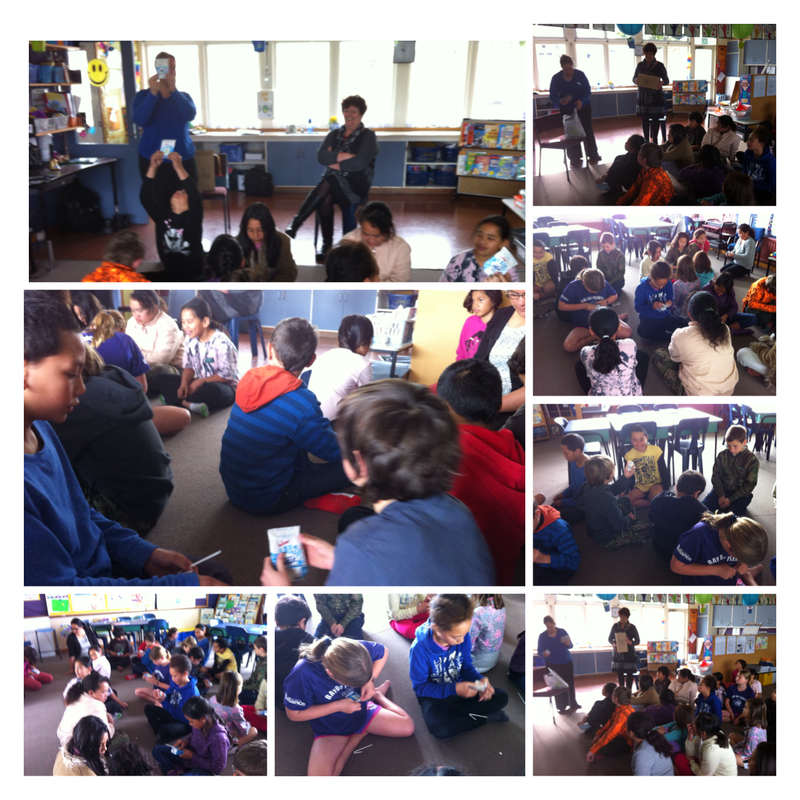 Over the past two week's Whaea Jeanette has shared the educational resources that were part of this programme and we listened to pieces of music that included Beethoven and Brahm. It was interesting to see well-known presenter and actor Jackie Clark on stage with the group. 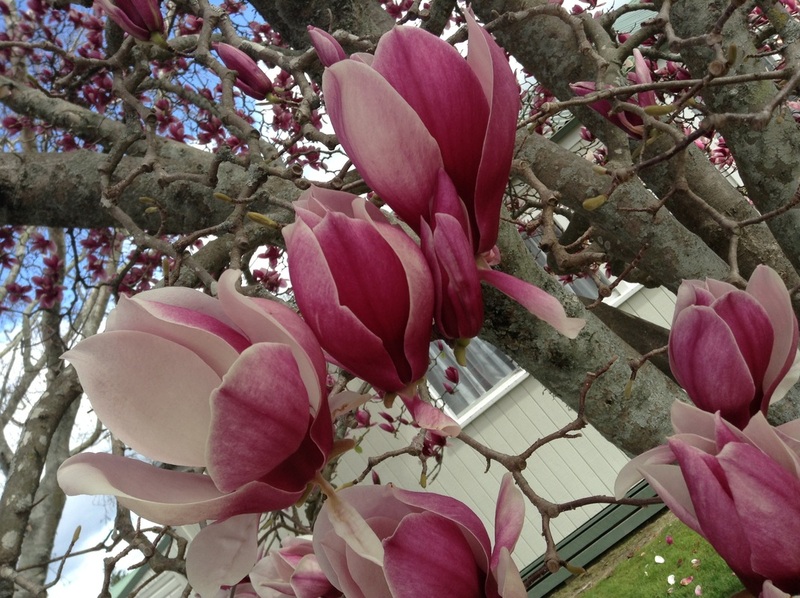 NZSO from Rumaonoedgecumbe on Vimeo. 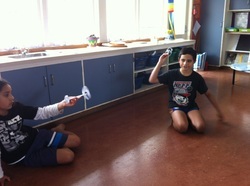 Room 6 @ EPS Basic Cup Song Moves from Rumaonoedgecumbe on Vimeo. In between the three events students and teachers of EPS enjoyed jokes from Angelina and music hosted by Te Aniwa, Kerry and Nikki. Photos of this morning's activities follow. Hint: Just press the arrow button to view more images. 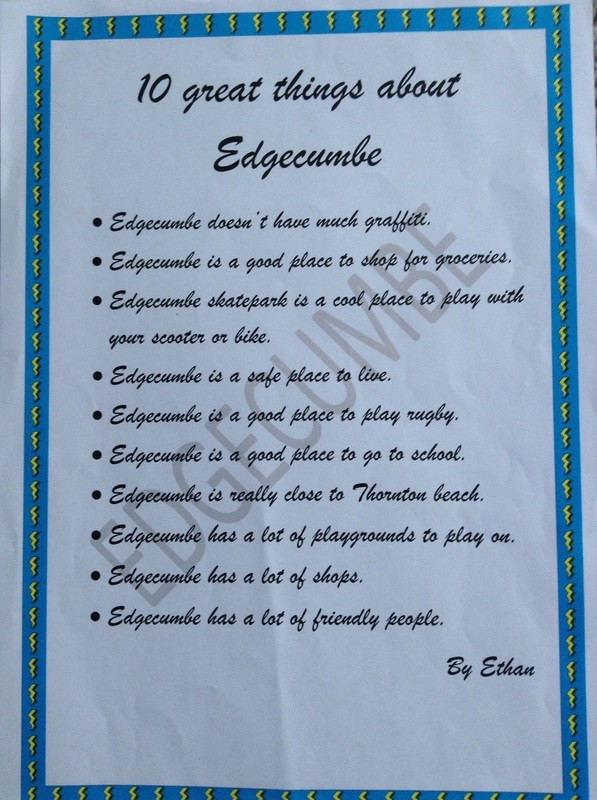 If you enjoyed the Room 6 @ EPS Assembly and would like to provide us with feedback and/or feed forward, visit our blog-comments page or click here and leave a message. We thank you for your time. 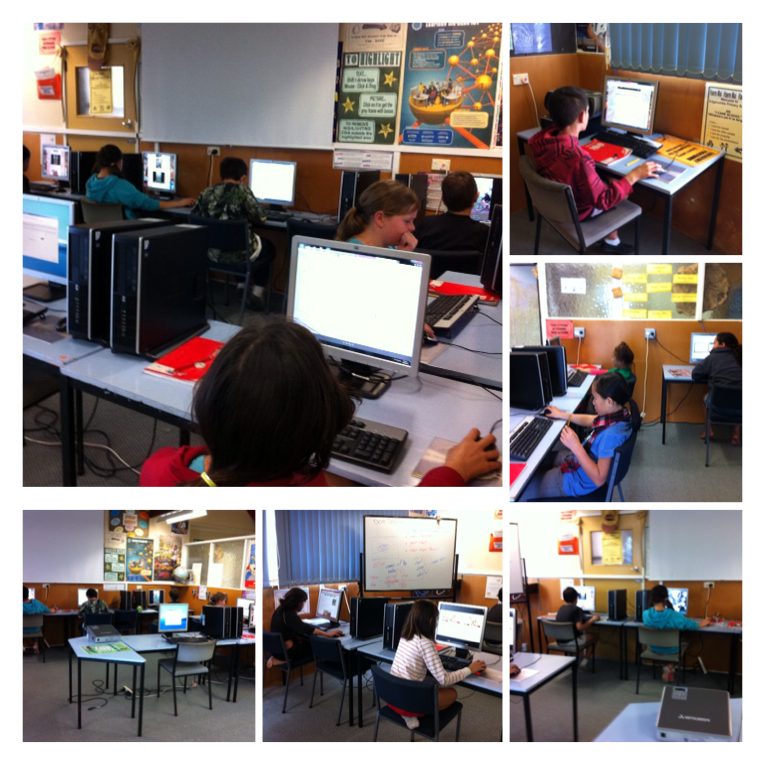 We have really enjoyed reading the comments that have been left for us this week by our three quadblogging classes. To wrap up 'our time in the spotlight' we spent this afternoon replying to those posts. We often follow a process and depending on the digital device being used we'll open a Word document or Notepaper app, type what we think and feel, use the spellcheck option (PC only) and always look carefully for grammatical and punctuation errors before copying, pasting and posting. Our teacher reckons that a 'do it once, do it right' attitude clearly works wonders. Thank you quadblogging buddies. We have received about 37 postings. If you'd like read some of the comments and our replies click here. We know that our teacher has been searching for the next chapter book to read to our class. She often makes up blank storyboard books so that we can illustrate and follow her reading aloud chapter by chapter. The book that's chosen is usually read over a term and we call this class activity sequential art reading. 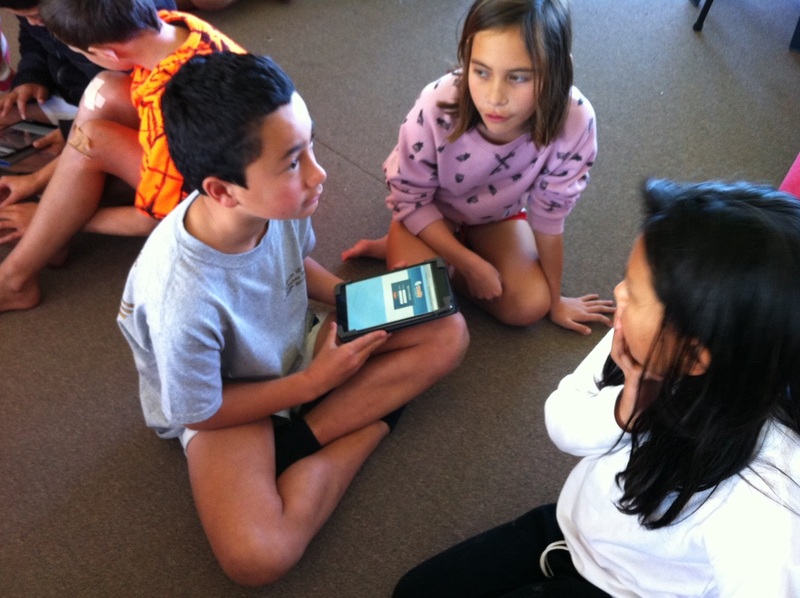 She's also talked about adding a page to this website for book reviews completed by our class. That would be a great way for us to share what we love to read online. "There are quite a number of new chapter books in our school library right now and if you're into gaming and enjoyed Emily Rodda's Deltora Quest series, then this is definitely the next book for you. It's based quite simply on a boy called Patrick who participates in a very unusual game show that involves the Finders like himself and the Seekers, his opposition. 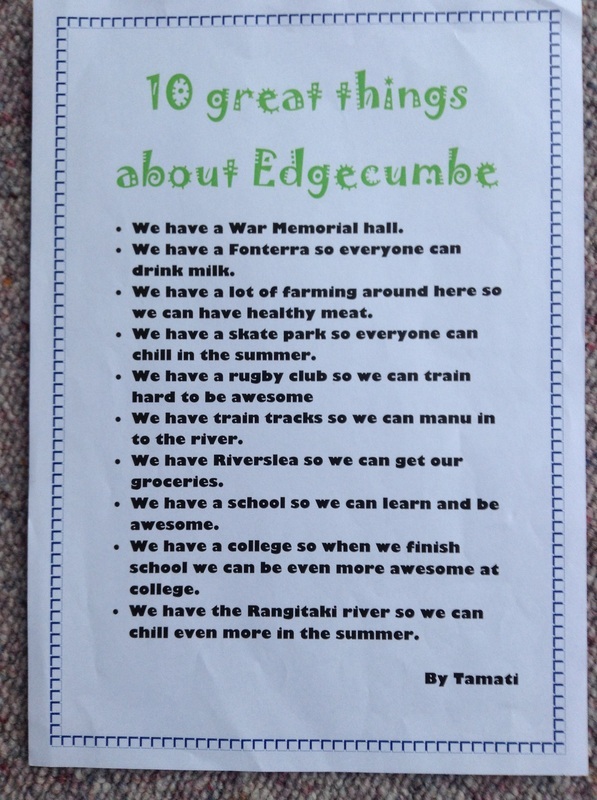 Edgecumbe Primary is part of the Positive Behaviour for Learning programme and we have been revisiting Whakaaro Pai, our school I CARE philosophy. 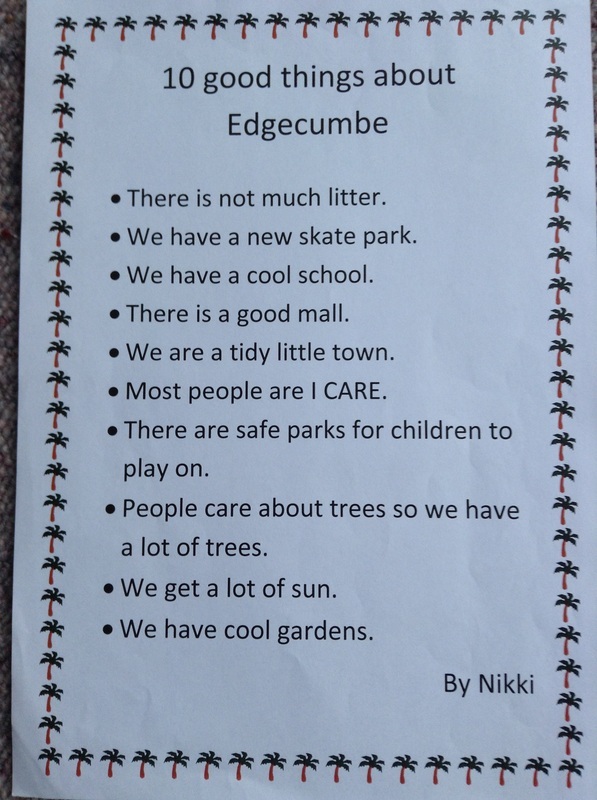 Last week our class worked in four groups to share the many ways that we care for ourselves, others, property and the environment when in the playground. Our task later this week is to video record some of these ideas and gather the voice of others about why 'we/they are able to give all the right answers' but sometimes fail to practice them appropriately. 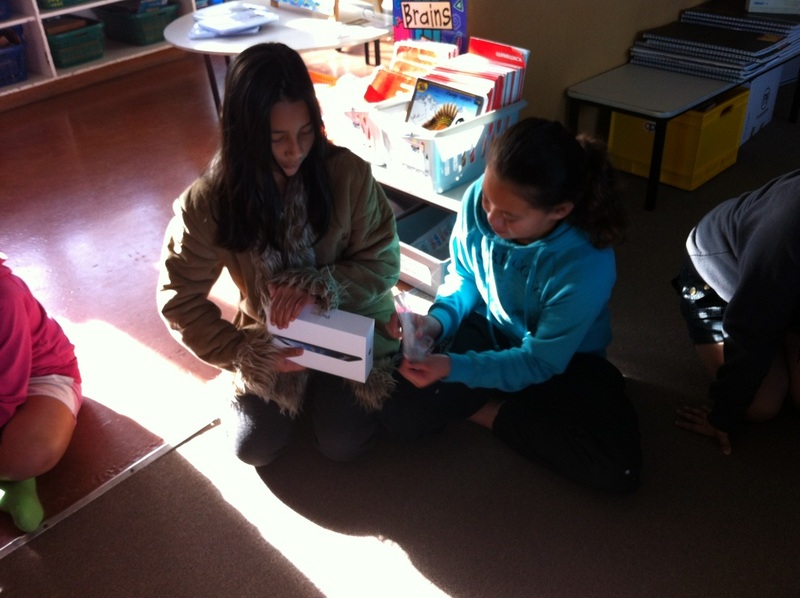 We have also been working a lot on other expectations that happen in our classroom like 'I Feel sharing', taking and returning sports gear, when the bell goes, S.Q.U.I.R.T (or quiet reading time), karakia and a relieving teacher in Room 6. Our latest effort or expectation that all teachers will be monitoring while on duty involves scooters in the playground. 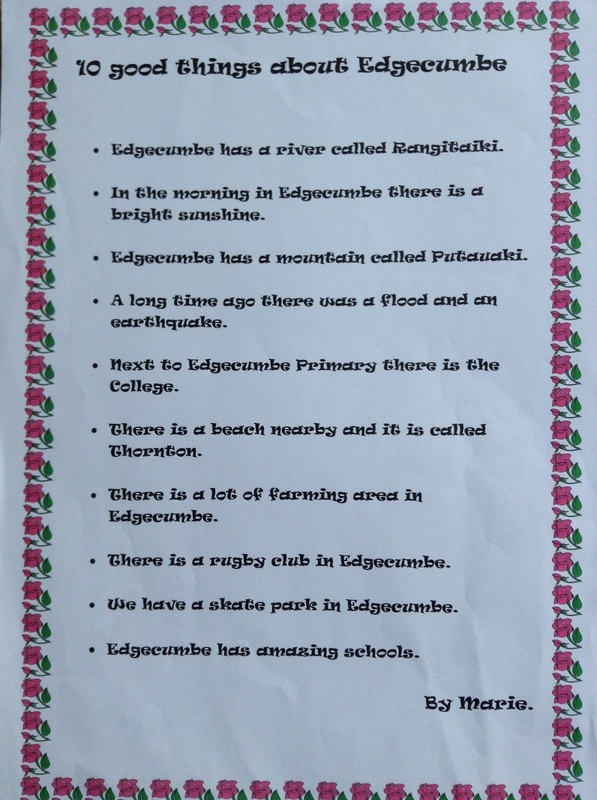 We now have 14 class quadbloggers and they were given the opportunity twice this week to post constructive comments for Room 12 at Vardon School in Hamilton. They realise how important it is to begin with a positive statement relating to the post and have often decided to end each of their comments with a question for the blogger. That cross country run looks like tremendous fun. Good luck with that! How many people will be racing in your class? confident. The show was very encouraging. 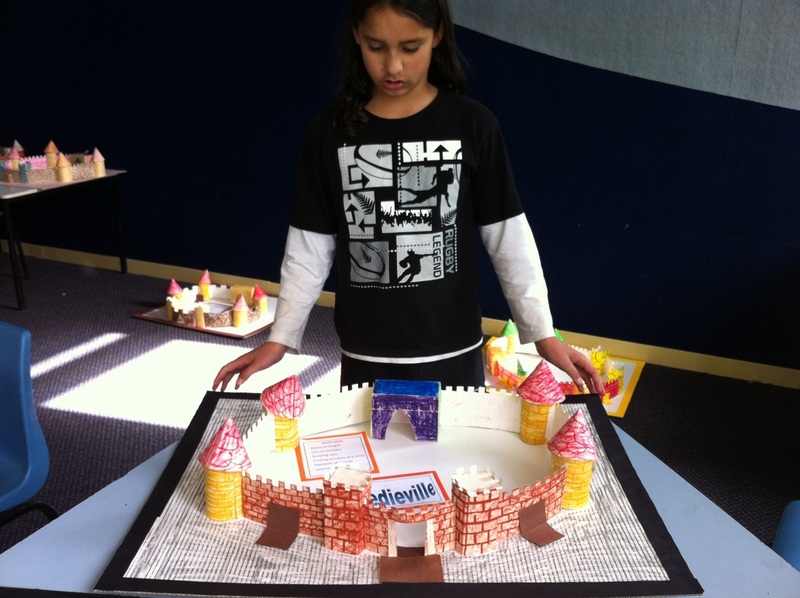 How did you come up with the idea for a puppet show? That looks like a magnificent friendship recipe. I’d like my best friend to follow that. What an interesting friendship recipe. I think that all of those ingredients are very important things to include in any friendship. What ingredients do you think you could also add to your friendship recipe? 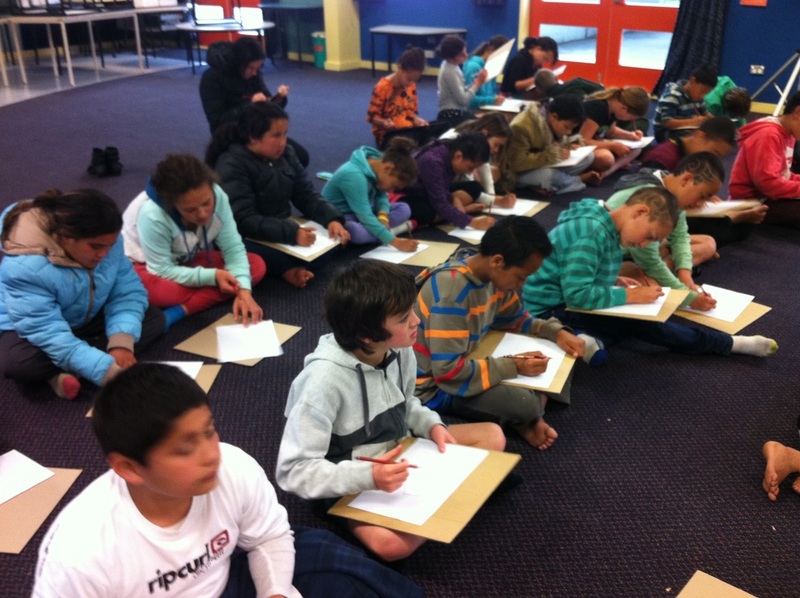 Our first art activity for this term is based on things that fly, namely the ruru or morepork. 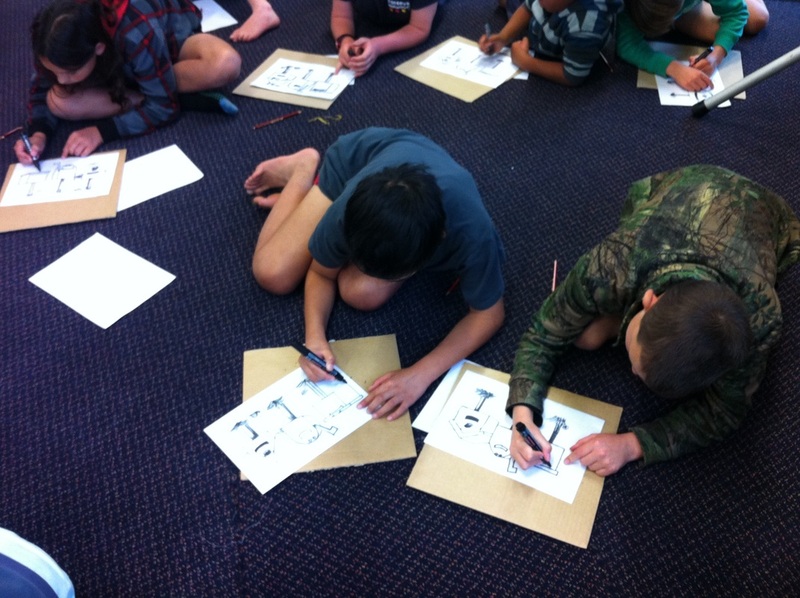 Last week our class completed two tasks that required we think about the parts of this important New Zealand bird and draw it. 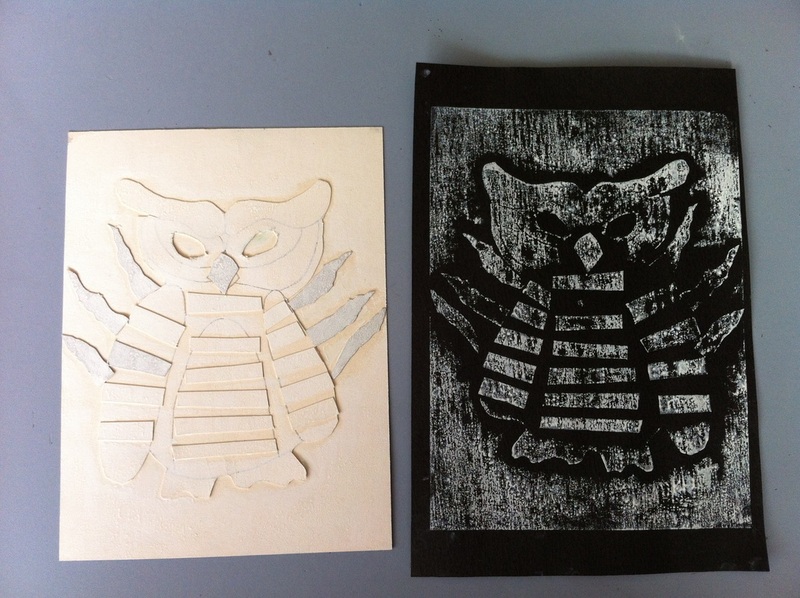 Whaea Jeanette then modelled how to make up a print using layers of cardboard and worked with one student to demonstrate the printing process. 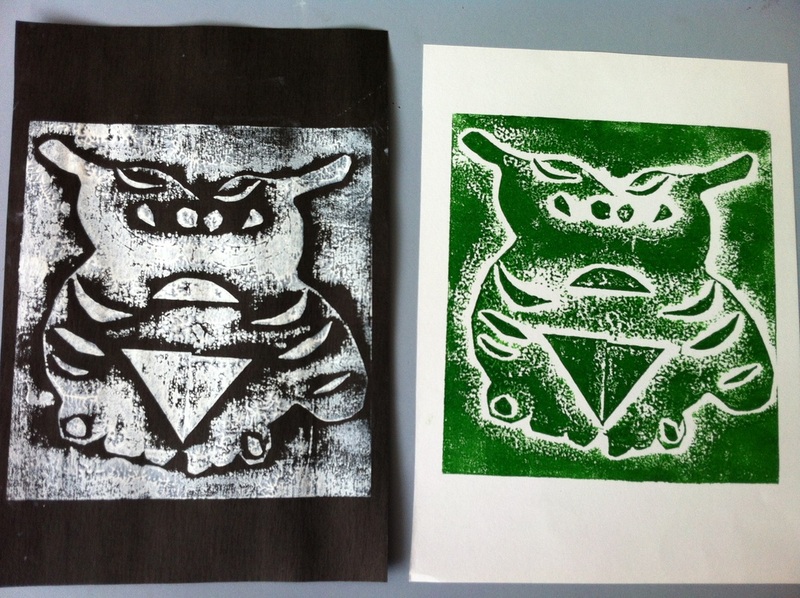 Our first prints will be white then we'll allow the bases to dry before we print again with another colour. Homethink for the next three week's is based on 'Saving the World - Efficiency and Conservation' and choosing three tasks to complete from a table of 20 activities. Student 'E' took the picture smart activity to another level. 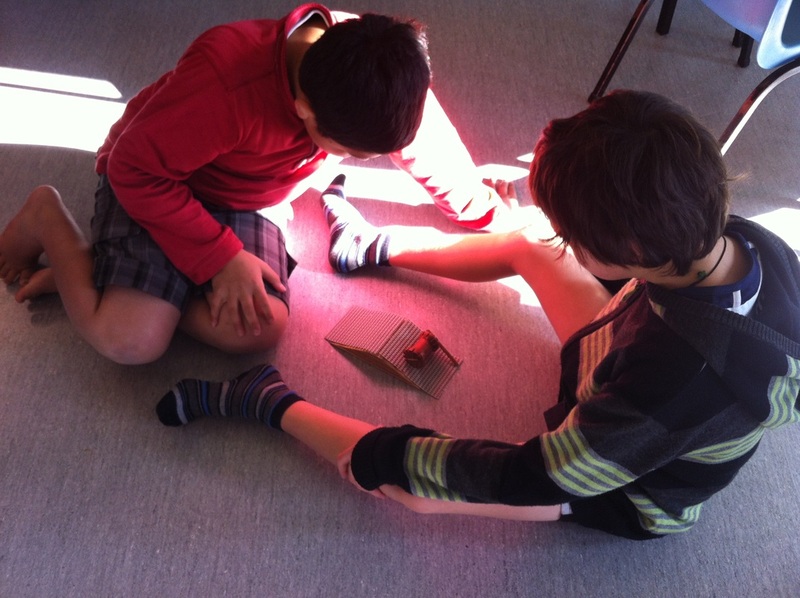 He drew a solar powered stove in his Homethink book then found some instructions and made it out of a cardboard box, glad wrap and tin foil with his family. He also bought a couple of pizzas to school and 'partially' cooked one in his oven. He then ate the pizza with a few of his friends. 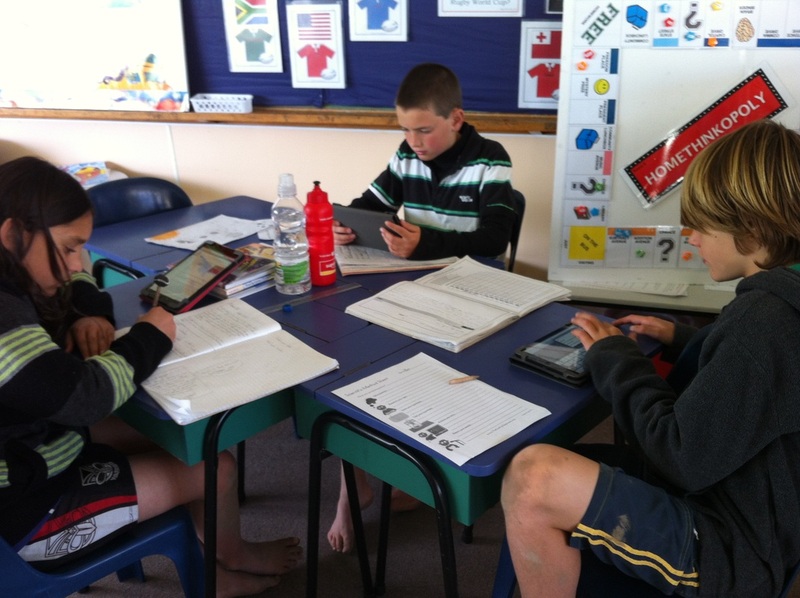 Mattaus, Tamati and Ben were involved in extension Maths and spent time last term with Ms Beattie and Mr Brebner. 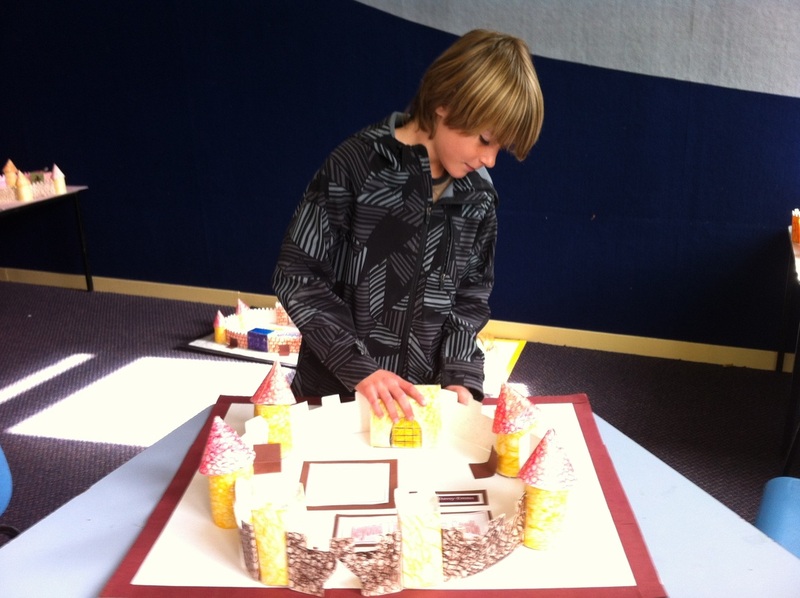 They were learning to use their knowledge of measurement to create scales models as 3 dimensional castles out of cardboard. 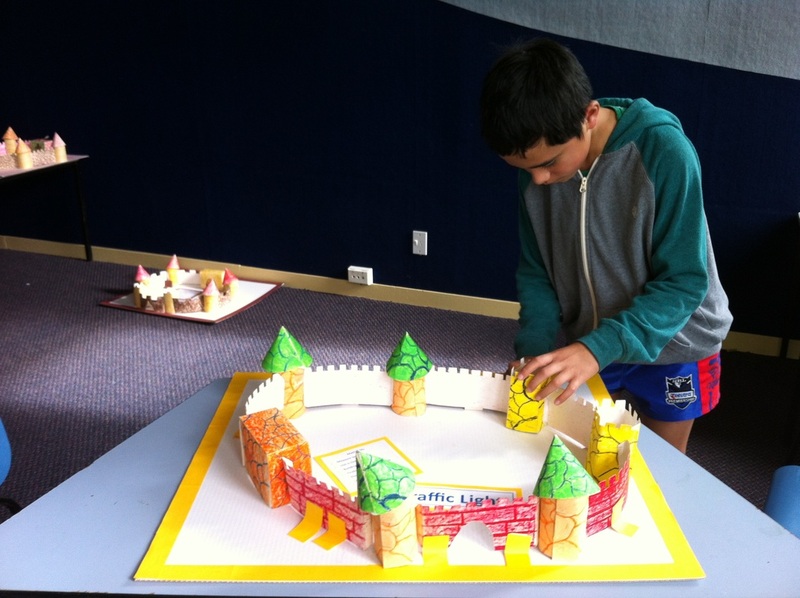 The boys had the opportunity this week to finish their models. For the next six week's this term all classes at our school will take part in the Green Gauge programme. It means that we will spend an hour every Monday morning looking at aspects of energy. 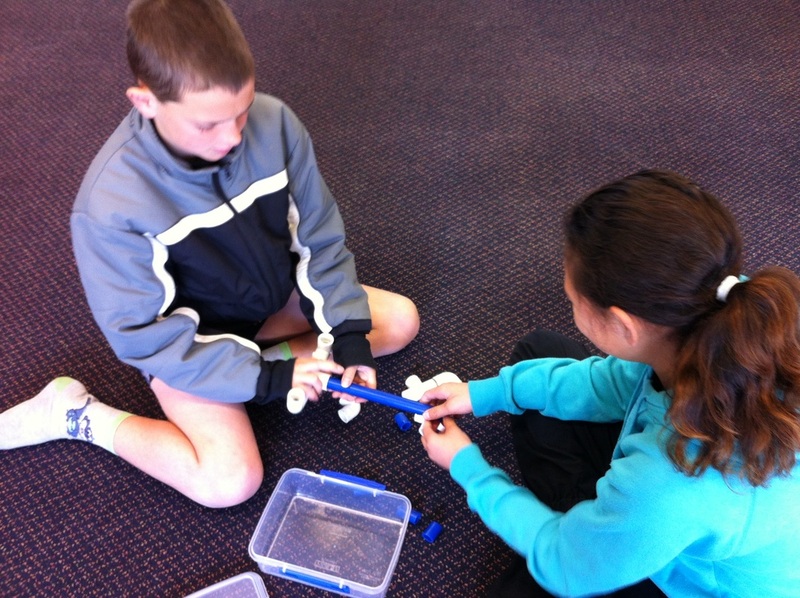 Today Mr Maple talked to us about potential and kinetic energy then we worked in pairs to make our own wind up device. 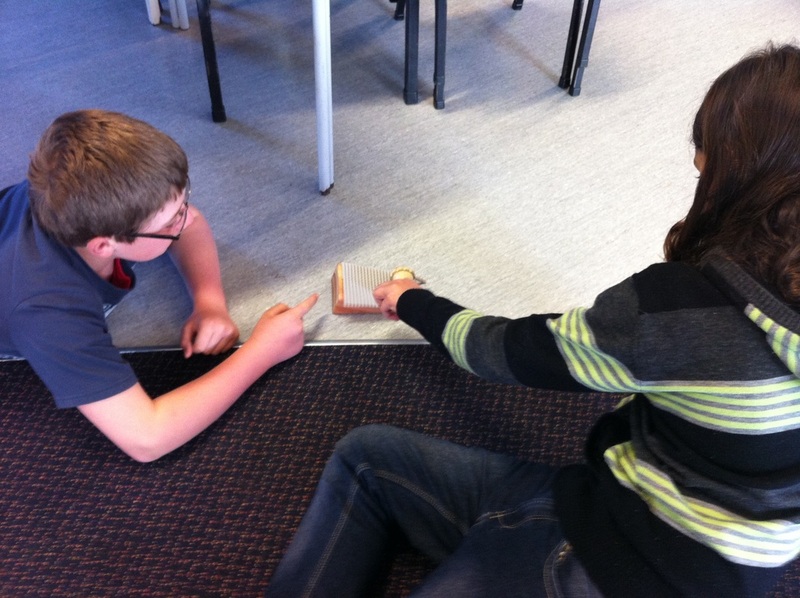 We also shared with Mr Maple that as a class we talked about the four principles of flight last Friday. Thrust is the principle that involves energy. 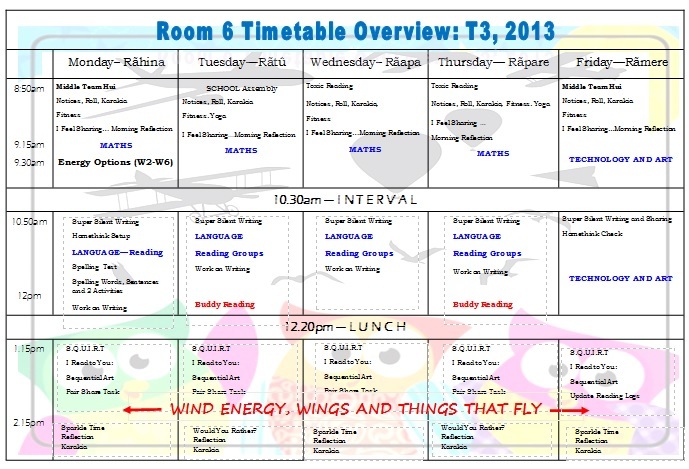 It's the end of our week and Whaea Jeanette has introduced our integrated topic ,'Wind Energy, Wings and Things That Fly'. She did this by asking three students to take an A4 piece of paper, fold it then stand on a chair and drop it. 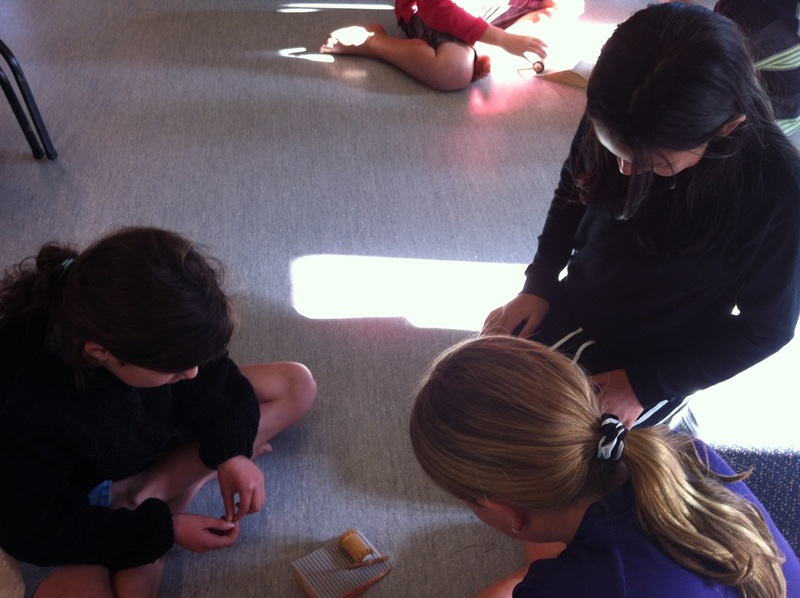 She then asked them to fold the paper into a paper plane then they all stood in a line and flew their planes. We spent a bit of time in groups discussing what happened at each stage. 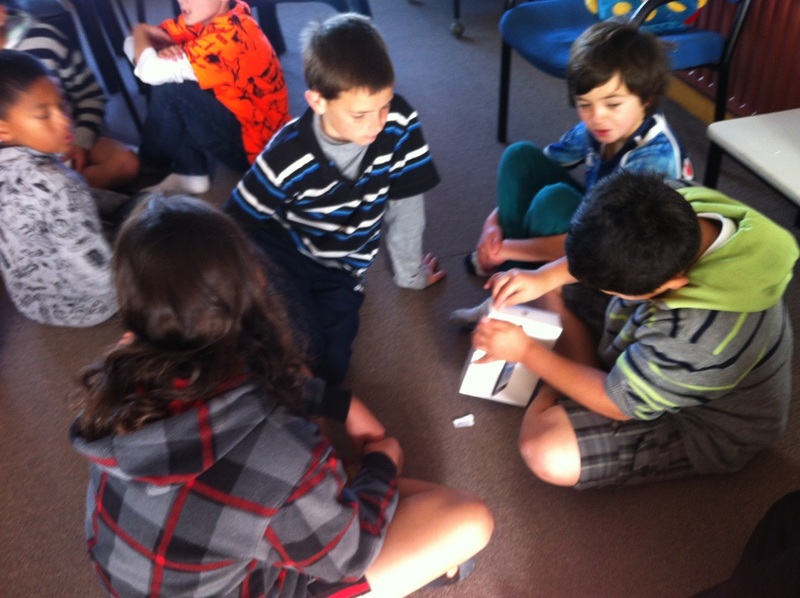 Whaea Jeanette then shared a video about the four principles of flight, we copied the diagram, talked some more and then got the chance to create paper planes and make modifications. 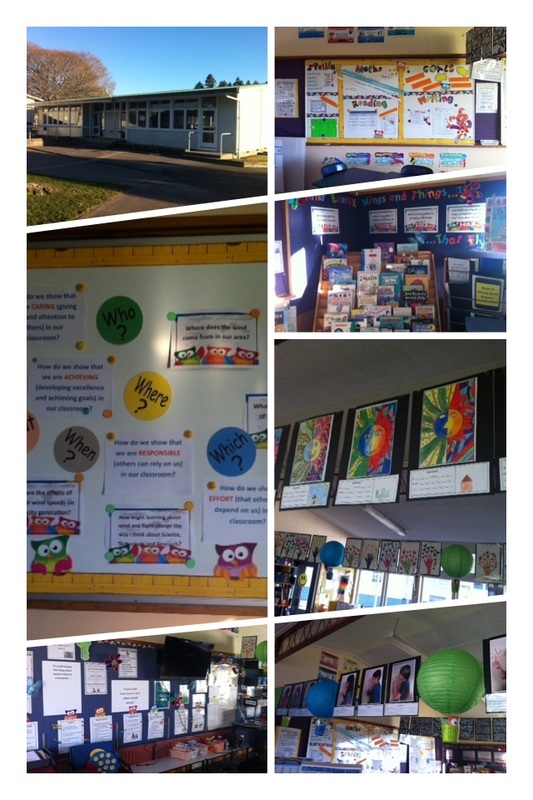 This web space has been set up so that we can share our learning and what is happening in Room 6 with whanau, the wider community and blog-friends. Connecting is what keeps our web space ALIVE. 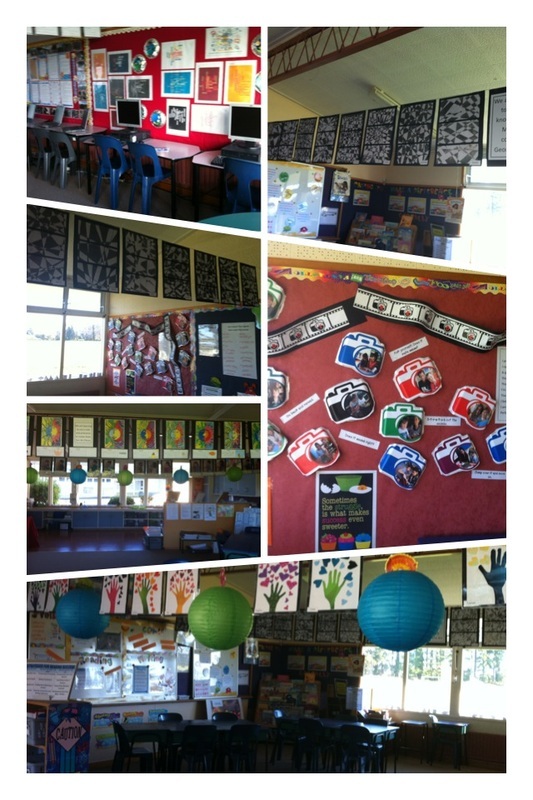 Kia Ora Room 6. It looks like you all are having yummy food for your dinner. I’m guessing you loved your food while you were on camp. 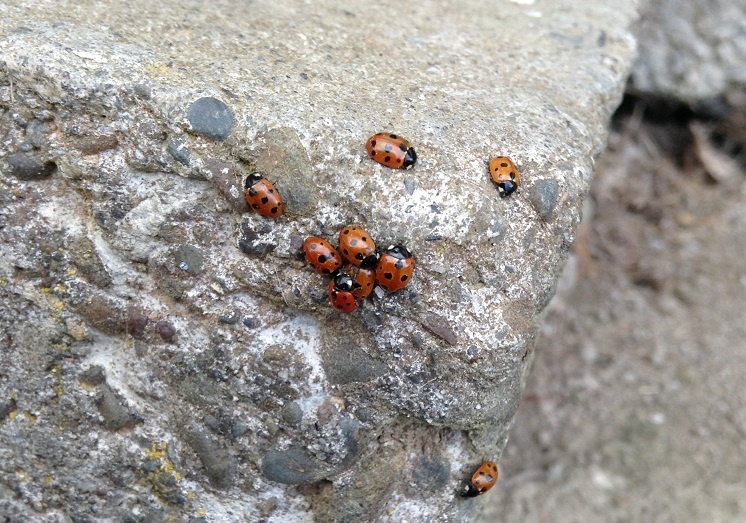 It also looked like you were all getting nice and warm ready for an outdoor activity. What would you eat if you were tramping for 2 days in the bush? Oh cool…its camping time! The weather must be must be great over there. The sun looks like it's blazing. It will probably be a really hot day. Will you think about building a bonfire? Will you go exploring? 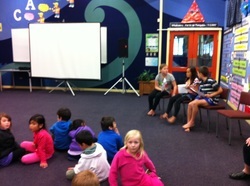 It's great to see that students were able to get up on stage and learn some moves with a taiaha. If you were a Maori warrior would you use those moves to terrorise your opponents? 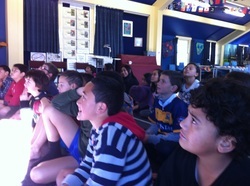 Kia Ora Room 6. Wow! I really liked the way you used descriptive language. You were all really having a fun time out there in that freezing cold water. I wonder if your teacher was having a nice warm bath while you were swimming. If you had the option of either a bath or a swim, what would you have chosen? "Bloggers were engaged in the activity and keen to comment constructively. 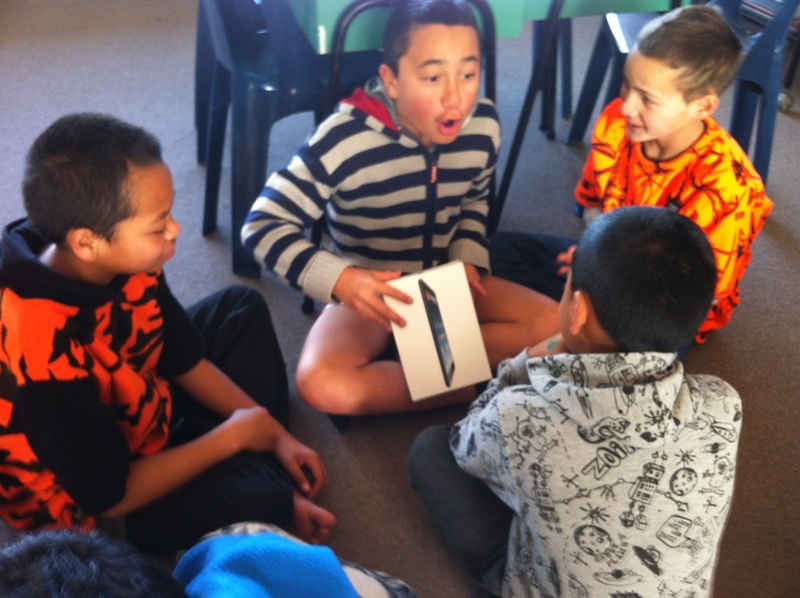 I'm impressed and now have plans to set up an e-challenge blog page that may further stimulate 'thinking outside of the box' - Whaea Jeanette. 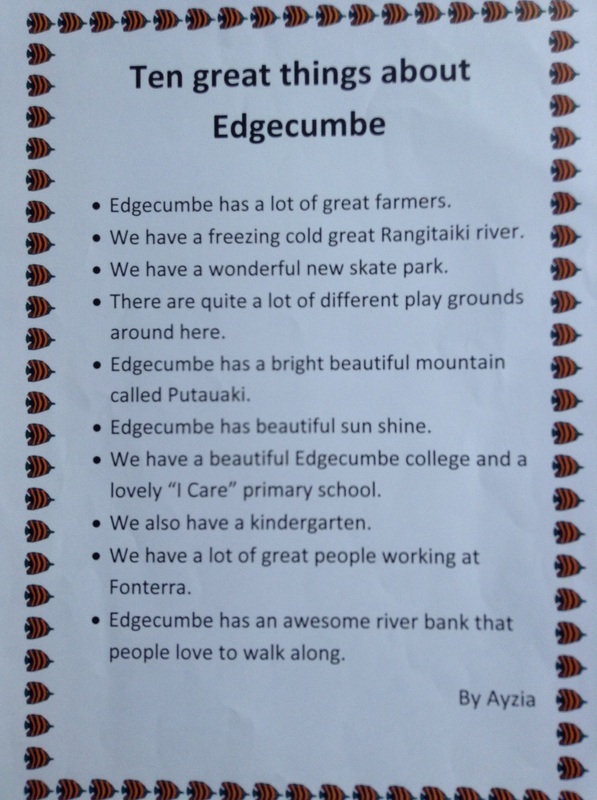 Edgecumbe is a small rural town in the Bay of Plenty of the North Island, New Zealand. It is 15 kilometres to the west of Whakatane and has a population of approximately 1800. 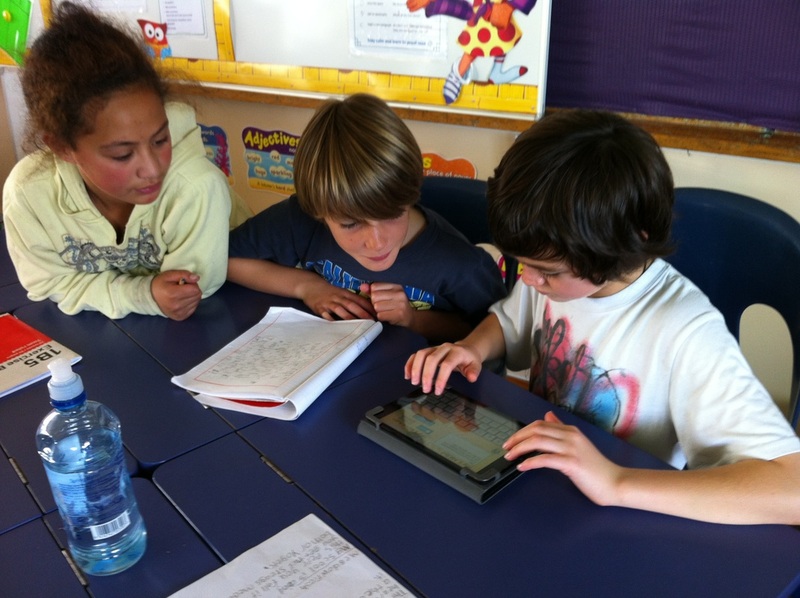 A teacher-directed integrated inquiry unit has been planned. Students of Room 6 will select one of the science, technology or research processes and complete mini-projects (paper or otherwise) that will be judged internally. A number of competent students will no doubt set up their own blogs, dabble with web2tools and use video as a means of recording evidential data.